Apple iPad 2nd Gen. Wi-FiSize and WeightWi-Fi· Heig..
Apple iPad 2nd Gen Wi-Fi CellularSize and WeightWi-Fi + 3G· ..
Apple iPad 3rd Gen.Size and WeightWi-Fi§ Height: 9.50 inches (241.2 mm)§ Width: 7.31 inc.. Size and WeightWi-Fi + CellularHeight: 9.50 inches (241.2 mm)Width: 7.31 inches (185.7 mm)Depth: 0.3.. 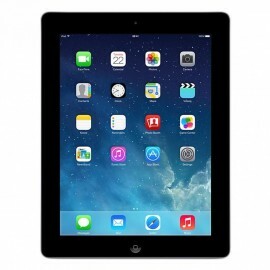 The Apple iPad 4th Generation offers Wi-Fi connectivity and multiple useful features and functions. See everything crystal clear on the 9.7-inch LED retina display that delivers a 2048 x 1536-resolution. The dual-core A6X chip with quad-core graphics ensures your apps will run smoothly. Equipped with a 1.2MP FaceTime camera and a 5MP rear camera, this tablet lets you capture all your memories and store them on the 16GB built-in memory. In addition, this white Wi-Fi + Cellular model has a 42.5-watt rechargeable lithium battery that can last you up to 10 hours. 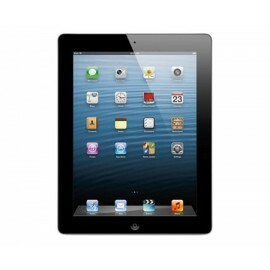 Product InformationThe Apple iPad 4th Generation offers Wi-Fi connectivity and multiple useful featu.. 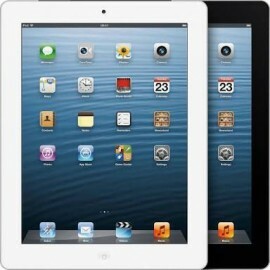 The Apple iPad 4th Generation offers Wi-Fi connectivity and multiple useful features and functions. See everything crystal clear on the 9.7-inch LED retina display that delivers a 2048 x 1536-resolution. The dual-core A6X chip with quad-core graphics ensures your apps will run smoothly. Equipped with a 1.2MP FaceTime camera and a 5MP rear camera, this tablet lets you capture all your memories and store them on the 64GB built-in memory. In addition, this white Wi-Fi + Cellular model has a 42.5-watt rechargeable lithium battery that can last you up to 10 hours. 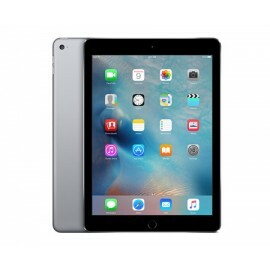 Apple iPad 4 Gen WiFiProduct InformationThe Apple iPad 4th Generation offers Wi-Fi connectivity and ..
With new features and capabilities that let you get more done quickly and easily, iOS 11 makes iPad more powerful, personal, and intelligent than ever. 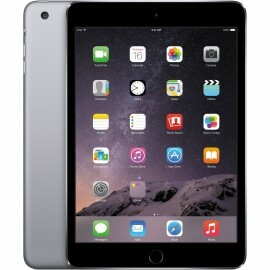 CapacityWi-Fi + Cellular128GBSize and WeightWi-Fi + CellularHeight: 9.4 inches (240 mm)Width: 6.6 in..
Apple iPad 6th. Gen WiFi-CellularLike a computer. Unlike any computer.If the computer were inv..
Meet a stunning mobile computing experience in a very thin and lightweight Apple tablet PC. The iPad Air is powerful and efficient at the same time, thanks to its A7 chip and M7 motion co processor, on which the iOS is running. These features, put together, make multitasking a breeze and let you spare battery power. Sporting a 9.7-inch multi-touch screen with Retina display, the Apple iPad Air delivers a 2048 x 1536-resolution, over 3.1 million pixels and enables you capture beautiful, sharp photos. The Apple iPad Air comes in capacity 16 GB, so you can store anything you want. 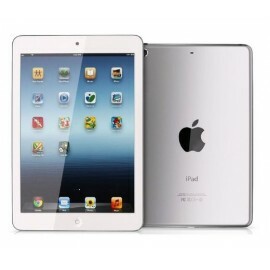 Supporting Wi-Fi or Wi-Fi connectivity, this Apple tablet PC makes your browsing and downloading experience very fast. Moreover, the 5 MP iSight camera on the Apple iPad Air with advanced optics improves still image and video capturing. The 1.2 MP FaceTime HD camera, featuring a backside illumination sensor, brightens up and improves your video calls overall. 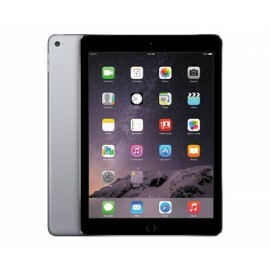 This Apple iPad comes in space grey finish and works with Verizon cellular network. 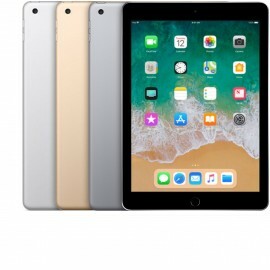 Apple iPad Air 16GBProduct InformationMeet a stunning mobile computing experience in a very thin and..
With an integrated memory of 128 GB, the Apple iPad Air 2 with Wi-Fi makes storing user data and downloaded content easy. Running on the iOS, this Apple tablet offers a variety of useful features, as well as Wi-Fi. 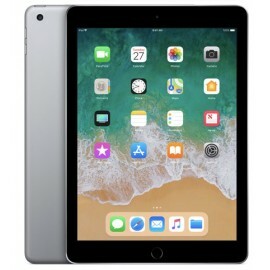 Additionally, this Apple iPad Air 2 weighs 437g and comes in space grey color with a 9.7-inch display, ensuring convenient usage and menu navigation. 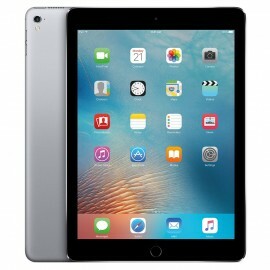 Apple iPad Air 2 128GB WiFiProduct detailsProduct InformationWith an integrated memory of 128 GB, th..
Meet a stunning mobile computing experience in a very thin and lightweight Apple tablet PC. The iPad Air is powerful and efficient at the same time, thanks to its A7 chip and M7 motion coprocessor, on which the iOS is running. These features, put together, make multitasking a breeze and let you spare battery power. 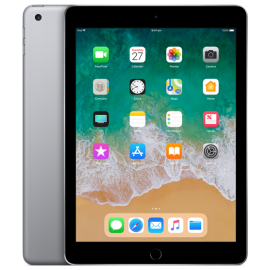 Sporting a 9.7-inch multi-touch screen with Retina display, the Apple iPad Air delivers a 2048 x 1536-resolution, over 3.1 million pixels and enables you capture beautiful, sharp photos. The Apple iPad Air comes in capacity 16 GB, so you can store anything you want. 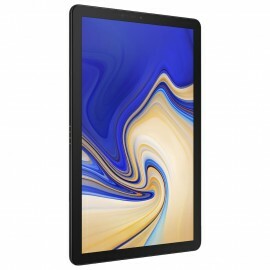 Supporting Wi-Fi or Wi-Fi+4G connectivity, this Apple tablet PC makes your browsing and downloading experience very fast. Moreover, the 5 MP iSight camera on the Apple iPad Air with advanced optics improves still image and video capturing. The 1.2 MP FaceTime HD camera, featuring a backside illumination sensor, brightens up and improves your video calls overall. 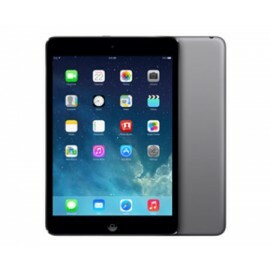 This Apple iPad comes in space grey finish and works with Verizon cellular network. Apple iPad Air 64GBProduct InformationMeet a stunning mobile computing experience in a very thin and..
Apple iPad Mini 1st GenSize and WeightWi-Fi + CellularHeight: 7.87 inches (200 mm)Width: 5.3 inches ..
Apple iPad Mini 2Capacity32GBSize and WeightWi-Fi + CellularHeight: 7.87 inches (200 mm)Width: 5.3 i..
Apple iPad Mini 3 WiFi - CellularWeight and dimensionsWi-FiHeight: 7.87 inches (200 mm)Width: 5.3 in.. 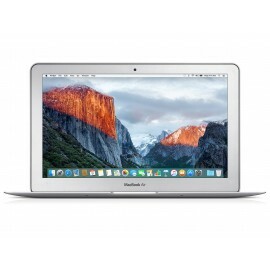 Engineered to take full advantage of your Mac hardware, OS X El Capitan is designed to be as easy to use as it is beautiful to look at. It comes with an amazing collection of apps you'll use — and love — every day. And it enables your Mac and iOS devices to work wonderfully together. 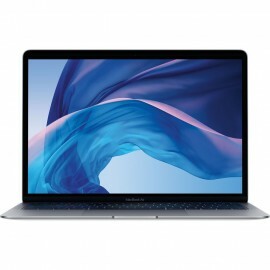 Macbook Air (11-Inch, Early 2015)Display§ 11.6-inch (diagonal) LED-backlit glossy widescreen ..
Apple MacBook Air 13-Inch 2017Display13.3-inch (diagonal) LED-backlit glossy widescreen display with..
Apple MacBook Pro 13.3" 2018MacBook ProMore power. More performance. More pro.PerformanceWith great ..
Optimised for consuming or creating content indoors or outdoors the 12” FHD+ sAMOLED display with HDR video support delivers stunning detail with deep colour density keeping a clear view during presentations and video calling. It also supports 4K content natively or via a compatible 4K enabled monitor so you can maximise productivity. Lightweight and compact, the optimized Galaxy Book is streamlined for sharing content on-the-go. With dimensions that measure 7.4 mm thin and weigh 754 g with cooling fan*, its premium appeal will set you apart during customer interactions. With LTE Cat 6 support, you can benefit from exceptionally fast download speed of up to 300 Mbps and secure connectivity whenever and wherever your business demands it. Powered with the 7th Generation Intel® Core™ i5-7200 processor the Galaxy Book (12.0”) offers reliable and high performance for desktop-base use to help speed up your workflow and manage multiple tasks with ease. The Galaxy Book keyboard features battery-free operation and a wide touch pad with user-friendly island type 1.5 mm stroke key size so you can work comfortably whenever and wherever you need to. 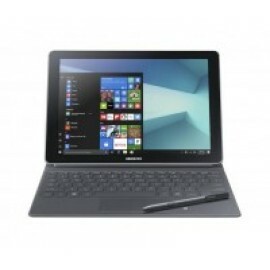 Samsung Galaxy Book 12"Superior Image ResolutionOptimised for consuming or creating content indoor..
Samsung Galaxy Tab 8.0"AudioAlert Types &..
Samsung Galaxy Tab Pro S LTEOperating SystemWindows 10 HomeProcessorCPU Speed2.2GHzCPU TypeDual-Cor.. Adapt to your busy life at home and on the go, the refined Galaxy Tab S4 is your ultimate entertainment and multitasking assistant. Samsung DeX is available on a Samsung tablet for the first time with Galaxy Tab S4. 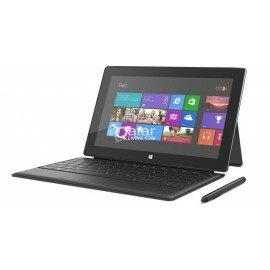 Get computer-like productivity with the mobility of a tablet. Multitask simply via a USB-C to HDMI adapter when connected to a compatible monitor without a DeX station or DeX Pad, and add a compatible keyboard or mouse for even more efficiency*. *HDMI adapter, keyboard, and monitor sold separately. ** Microsoft Office requires users to purchase licenses. ***Samsung DeX supports multi-resolution (HD+/FHD) video inputs. HDMI adapter required to connect to external display using Samsung DeX. **** Some apps in tablet mode may differ when in Samsung DeX mode. *****Recommend accessories for Galaxy Tab S4: Multi Port Adapter (EE-P5000B), HDMI Adapter (EE-HG950), DeX Cable (EE-13100). Exact model number may vary by country. * Book Cover Keyboard and mouse sold separately. ** Some apps in tablet mode may differ when in Samsung DeX mode. *** Drag and drop currently supported in Messages, Myfiles, Samsung Notes, Gallery, e-mail, and Gmail only. Your personal productivity relies on comfort. That’s where Samsung DeX with a compatible external monitor comes in. *You can keep using the Android user interface on the tablet with Samsung DeX on a larger screen. 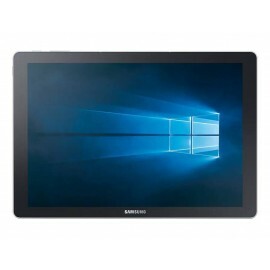 View your work on a monitor while using the tablet as a touch pad, digitiser, or touch keyboard. * Requires USB-C to HDMI adapter, sold separately. **Samsung DeX supports multi-resolution (HD+/FHD) video outputs. HDMI adapter required to connect to external display using Samsung DeX. *** Some apps in tablet mode may differ when in Samsung DeX mode. **** Recommended accessories for Galaxy Tab S4: Multi Port Adapter (EE-P5000B), HDMI Adapter (EE-HG950). It’s not off. It’s on standby. Hover and click the S Pen to access Air Commands’ many productivity tools. Now you can use Live Message to create animated handwritten notes. Draw on photos to send to friends for more fun and dynamic conversations. The S Pen doesn’t require charging as it’s battery-free. Air Command can translate words and phrases with a swipe of the S Pen. ** You can even save a preferred currency or measurement system and the S Pen will automatically convert the units for you in the translation. The Galaxy Tab S4 is capable of 4G network download speeds up to 1Gbps giving you more time to get things done. * And with the 64GB and 256GB memory configuration** and an additional memory of up to 400GB through the MicroSD card slot***, you have plenty of space to store documents and videos. The Galaxy Tab S4 has a battery capacity of 7,300mAh that can play up to 16 hours of video, so watching your favorite shows or finishing off that season is now possible. 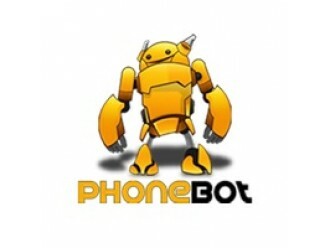 * If your battery does run out, bring it to full charge rapidly with fast charging. 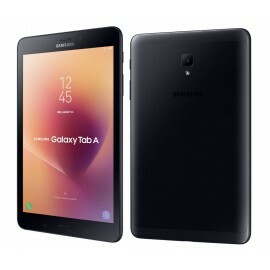 Samsung Galaxy Tab S4Multitask without boundariesAdapt to your busy life at home and on the go, the..
Apple iPad 6th Gen WiFiAudioAlert Types &..